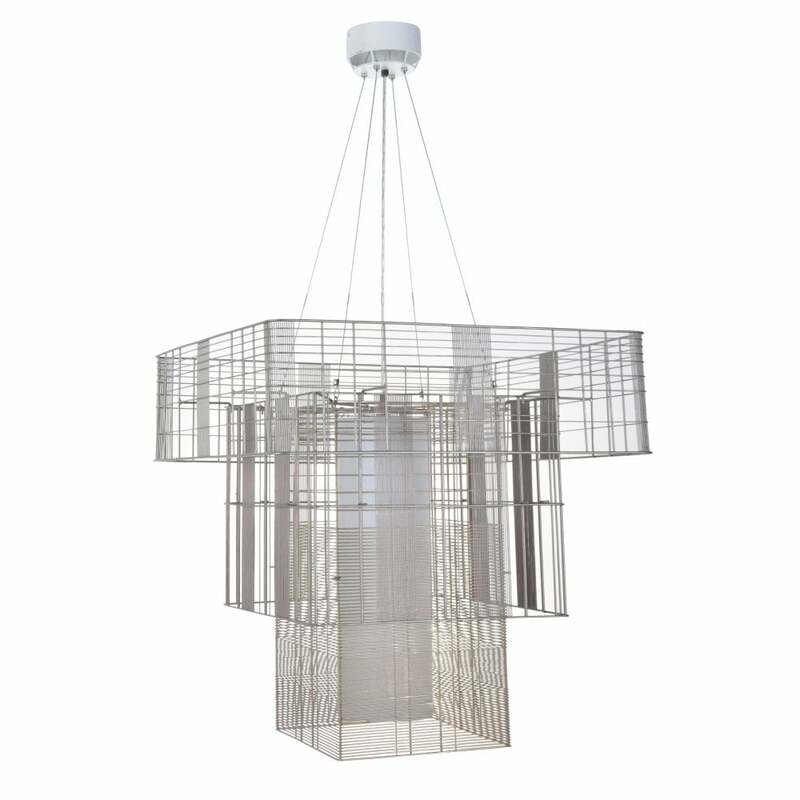 A beautiful feature piece of lighting with an airy and Art Deco appeal that would be perfect for lighting over a dining room table or in a long drop stairwell as a statement piece. The stack of wire frame cages in taupe and champagne finishes is reminiscent of a city skyline, you can see how it takes inspiration from New York. It is also suitable for use on a dimmer switch providing the bulb used is also dimmable. Here at The Lighting Company we have a large and ever growing range of lighting to suit every setting. Browse the full range of ceiling lights here: Ceiling Lights.